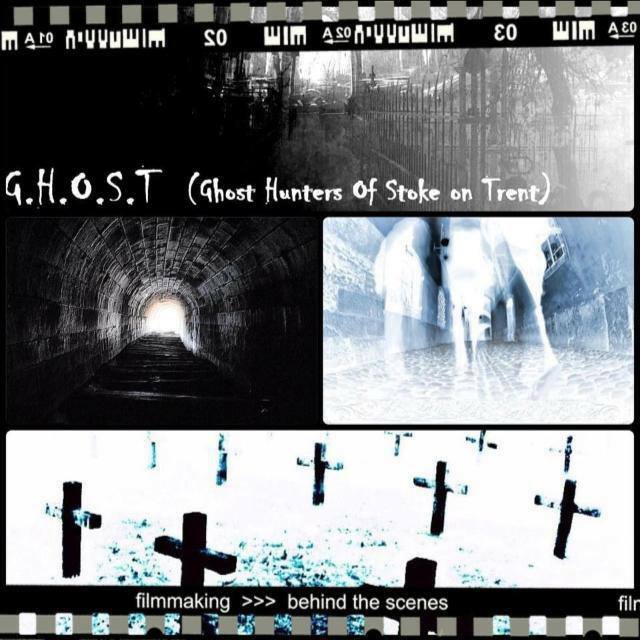 G.H.O.S.T are a Stoke On Trent based group who are focused on research, investigation, and the documentation of reported paranormal activity. G.H.O.S.T was formed to assist those who believe that they are experiencing paranormal phenomena, and at the same time provide you with an honest service, FREE of charge. We are open-minded to the existence of ghosts but do not assume that the activity in question is a ghost or paranormal. We base our results on our photos, video, electronic voice phenomena, also known as EVP’s and personal experiences collected at a location using both high tech electronic equipment as well as low tech tried and true methods.Our Team has a lot of experience in this field and uses a variety of equipment - much of which is specifically designed for paranormal research and some that is specially constructed or modified to suit our requirements. Due to the amount of information that is not currently known or proven about the phenomenon of ghosts, we believe it is essential to monitor as much as possible in order to obtain data which may assist in providing answers. Our purpose is to dispel myths and stories and to separate fact from fiction. G.H.O.S.T also uses our own groups mediums & sensitive's as well as our technical equipment to try & find out the truth. We have an experienced & strong team & are steadily collecting our equipment along the way to make our Investigations as Informative as possible, we are a non funded group & are a non profit group all our equipment is our own & are Interested in finding out as much as we can from the other side of life's activities to share with yourselves. We are the fastest growing paranormal investigation team in Stoke-On-Trent & Staffordshire & are steadily becoming 1 of the UKs biggest & trusted investigation teams across the country with the most interactive Facebook fan page https://www.facebook.com/GreatBritainsGHOSTInvestigations & Twitter @GHstokeontrent account please join us & become a part of the #Parafamily.